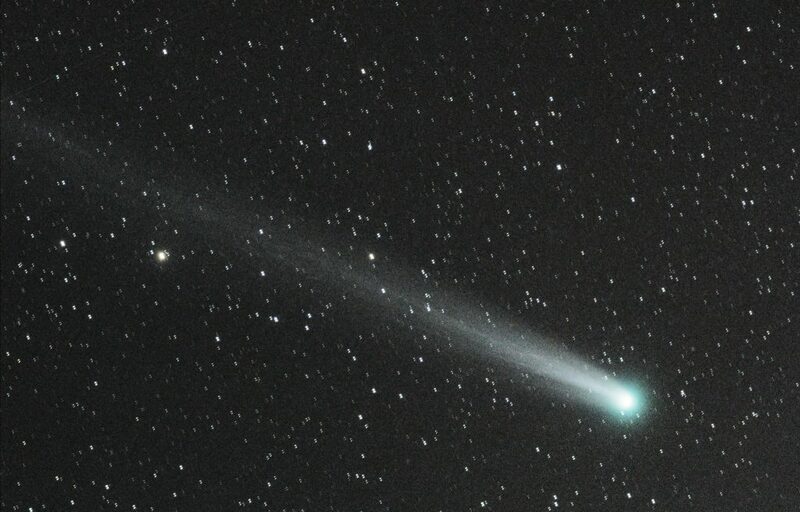 On November 17th I decided at 1:00 to try to take some pictures of comet ISON before it’s rendezvous with the sun. 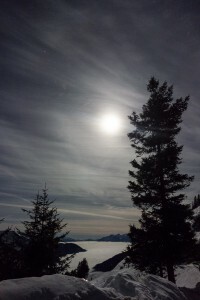 To get above the fog in the Rhine valley I drove up a still-open (normally closed in winter) mountain pass. I arrived early at the Furkajoch (a mountain pass in Vorarlberg), so I had the chance to take some pictures of the alpine landscape and of comet Lovejoy. The full moon and a thin layer of high cirrus cloud made the process of locating and imaging the comet difficult.